Take any datasheet and installation manual of a solar panel and you will find which mechanical resistance, both in load and suction, the product can withstand depending on the installation configuration. 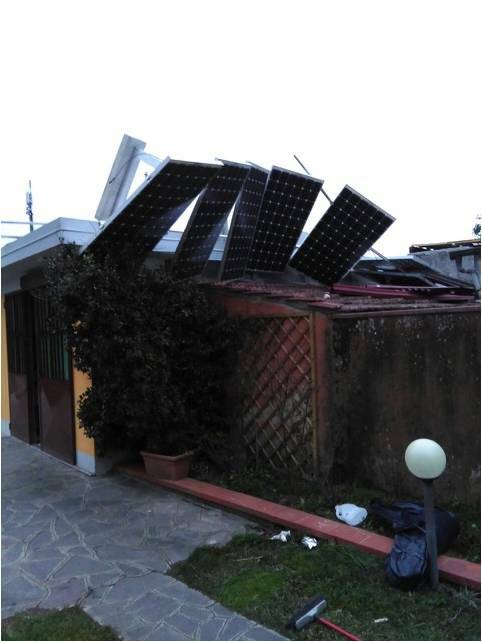 While it may seem abstract, a storm that struck Toscany, Italy, the 5th of March 2015, illustrated visually how our solar panels can behave during such an event. This day, Toscany underwent a violent storm with wind speed above 150 km/h. It brought down centenaries trees all over the region, damaged infrastructures and goods like cars and houses. 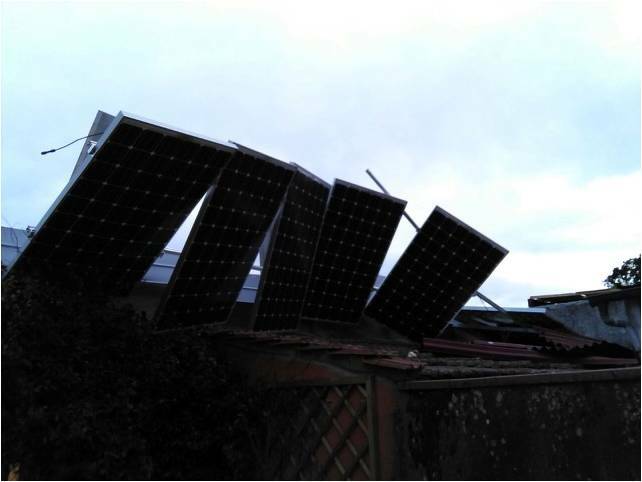 One of our customer had to handle a solar power plant that has been severely damaged. 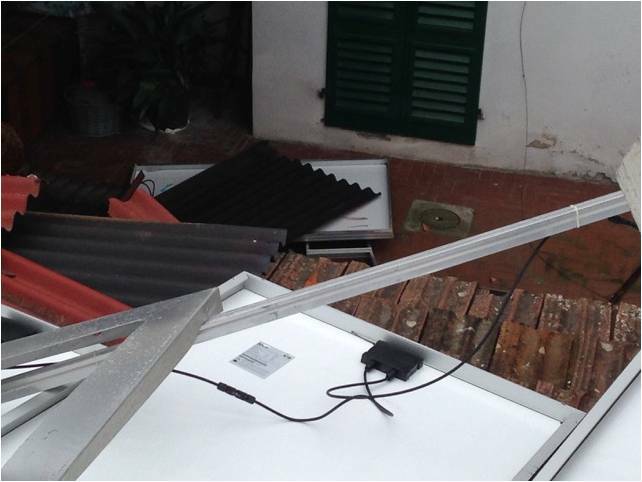 Indeed, the wind was so strong that it brought the panels down to the floor from the rooftop they were installed on. He shared with us a serie of pictures where we can feel the violence of this climate event. The interesting thing is that the modules in question, S19 290W with 50 mm frame, have been evaluated carefully afterwards in order to analyze at which point they were damaged. We were surprised and happy to discover that only one module was damaged. The other, except minor external scratch was still suited to be reinstalled again.Our modules, that are designed to withstand 5400 Pa of pressure in suction and load in a different set of configuration did their job well. It is an other proof, if needed, of the reliability of solar panels that can stand still even if things around fell apart.